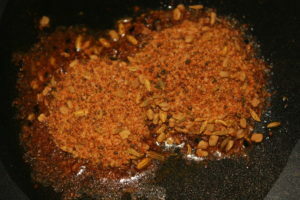 Today’s recipe is another winter speciality of Rajasthan ‘Haldi ki Sabzi’. 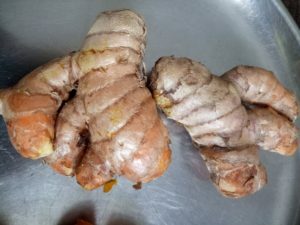 It is made from fresh whole raw turmeric, which looks almost like ginger. 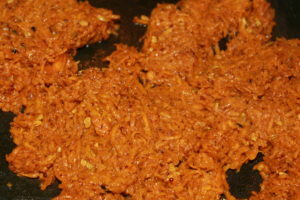 Turmeric is warm in nature, that’s is why this very healthy dish for the winter season. 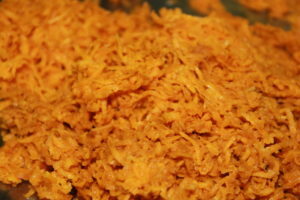 There are many benefits of turmeric as we know, so do try preparing this recipe at home. Turmeric has many digestive, anti-inflammatory and anti-oxidant benefits. For haldi ki sabzi, you will need- fresh raw turmeric, ghee, Fennel seeds/saunf, fenugreek seeds/methi, mustard seeds/rai, cumin seeds/jeera, asafoetida/hing, salt as per taste, red chilli powder, and coriander powder. You can store this dish in the refrigerator for 8-10 days. 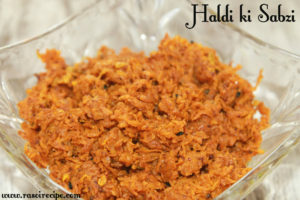 Haldi is hot in nature so have this dish in moderation. To try more dishes from Rajasthani cuisine, check – Papad ki Sabji | How to make rajasthani papad ki sabji, Dahi Phulki | Besan ke Dahi Bade/Vade, Moong Dal Samosa (Rajasthani special samosa recipe), Kairi Ki Meethi Launji (Sweet and Tangy Raw Mango Pickle), Rajasthani Masala Mirch (stuffed green chillies). 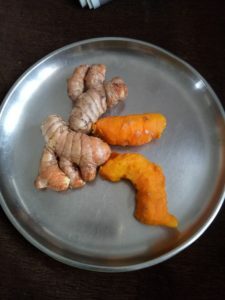 Wash and peel raw turmeric. Add all the dry masala. 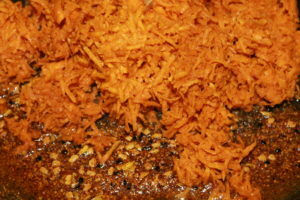 Lastly, add grated turmeric. Mix well. Let the pan remain covered for few minutes. 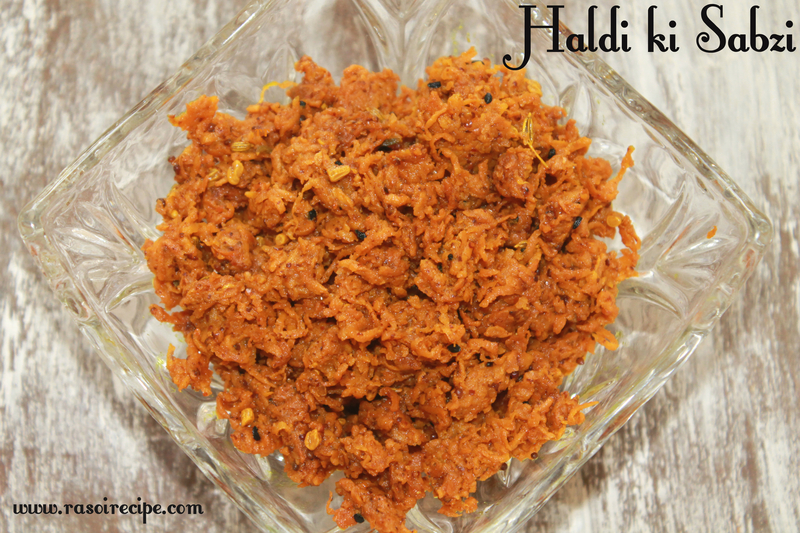 Enjoy healthy haldi ki sabzi this winter season. never knew it could be cooked this way ! 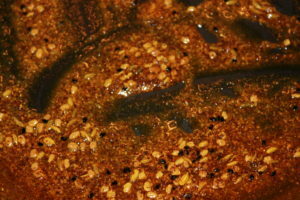 Here there is one more way which it is cooked, that is haldi gravy. Awesome recipe…. Must try this one….